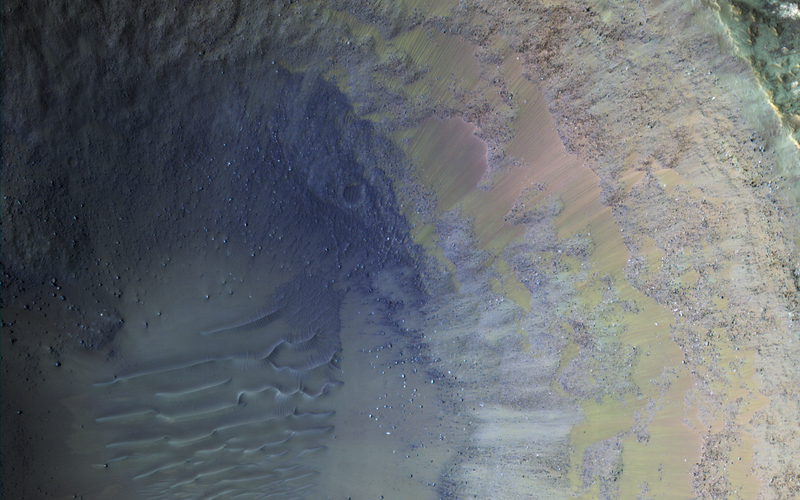 Some regions of Mars are not very colorful, but we can be surprised by local features. 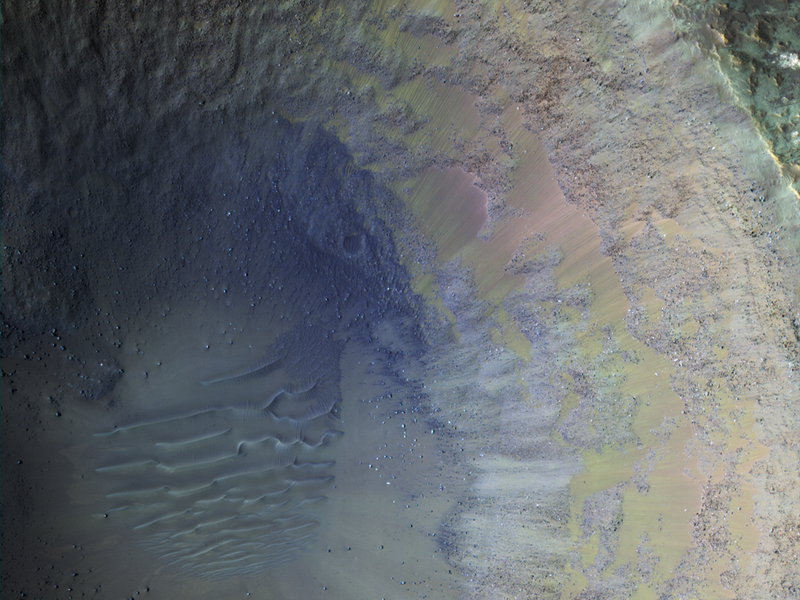 This image of an impact crater in the south Syrtis Major region was acquired as a “ride-along” with a CRISM observation, which targeted this location because that instrument’s team expected a distinct composition. 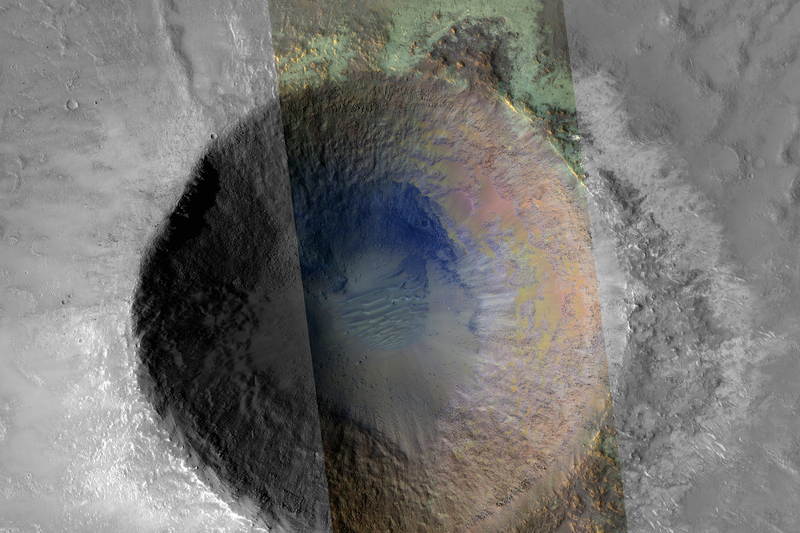 Our enhanced image reveals colors ranging from red to green to blue. 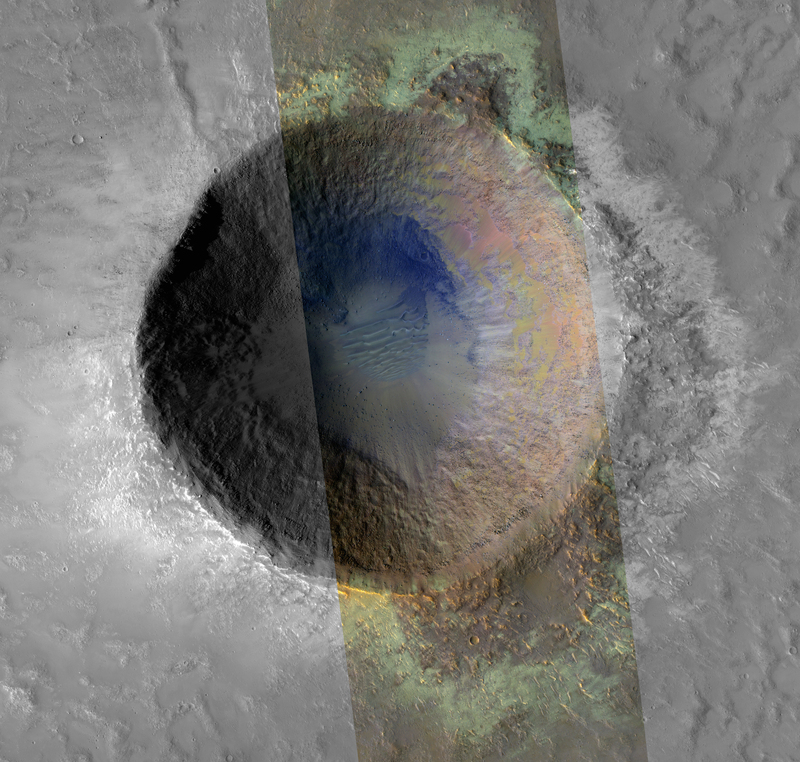 These are infra-red shifted colors (infrared-red-blue) so it’s different than what we would see with our eyes.